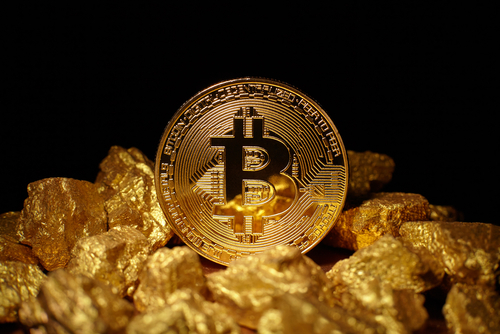 According to financial blog Philosophy of Metrics cryptocurrency will ‘swallow’ the current gold market within the next year. Gold is a good way to back up currency because of the large amount of social and, to a lesser extent, intrinsic value in the precious metal, accounted mainly for the difficulty in mining it. Gold is deflationary by nature, which is one of the reasons it is suboptimal for use as a currency backer. It is for this reason, and simply because Nations will almost certainly not be “interested in turning back the clocks on technology,” that the gold standard is likely a thing of the past. If the role of gold as a vehicle for monetary liquidity is imminent, there are notable takeaways. The first is that coins like Bitcoin, which have a cap on the total number that can be in circulation are, like gold, deflationary by nature. This means that Bitcoin, though the most popular cryptocurrency, is not going to be the model that a theoretical international crypto architecture is built on. The author in fact mentions that “Bitcoin’s throne will soon be usurped by the digital asset XRP,” presumably, though not explicitly, for this reason.